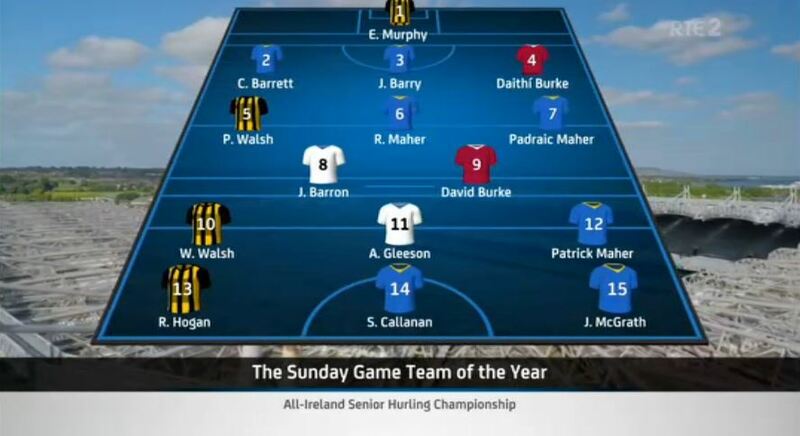 On the Sunday Game, their panel of seven analysts decided on their Hurler of the Year and their Team of the Year. Seamus Callanan, Man of the Match in the All-Ireland final, was also named the Sunday Game Hurler of the Year. Four of the seven voted for the Tipperary full forward who scored 13 points in the All-Ireland decider. Here's how the voting broke down. This was their Team of the Year. It features seven from the All-Ireland winners, four from the losing All-Ireland finalists and two each from semi-finalists Waterford and Galway.